SCARF provides the framework for a whole-school approach to improving children’s wellbeing and progress, based on five values: safety (S), caring (C), achievement (A), resilience (R) and friendship (F). 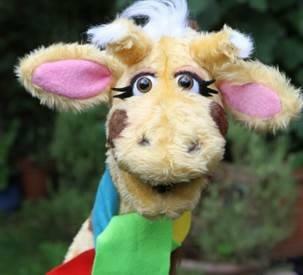 Each value is linked to a colour on the scarves worn by Harold the giraffe and his friends, and which everyone in school can wrap around themselves either in reality or in their imaginations, reminding them to put the SCARF values into action. The SCARF values are brought to life through stories of Harold and his friends, songs, films, and thought-provoking and fun activities which children experience during Coram Life Education sessions, whether led by our expert educators or by teachers in the classroom. As children get older, while they still cherish Harold, themes about wellbeing and relationships are explored in greater depth and resources are tailored to their age group. How do the SCARF resources help teachers help children put SCARF into action? The SCARF resources provide over 250 regularly updated lesson plans, activities, assemblies, teaching and learning films and lesson planning and assessment tools. These are flexible - and mapped to the PSHE Association programmes of study, as well as being fully aligned with the National Curriculum (England) and Curriculum for Excellence (Scotland). SCARF is making a difference in schools today – because it gives them a whole-school approach to improving children’s wellbeing and progress, based on the core values of safety, caring, achievement, resilience and friendship, and developed with the knowledge that improving children’s health and wellbeing improves their academic attainment.